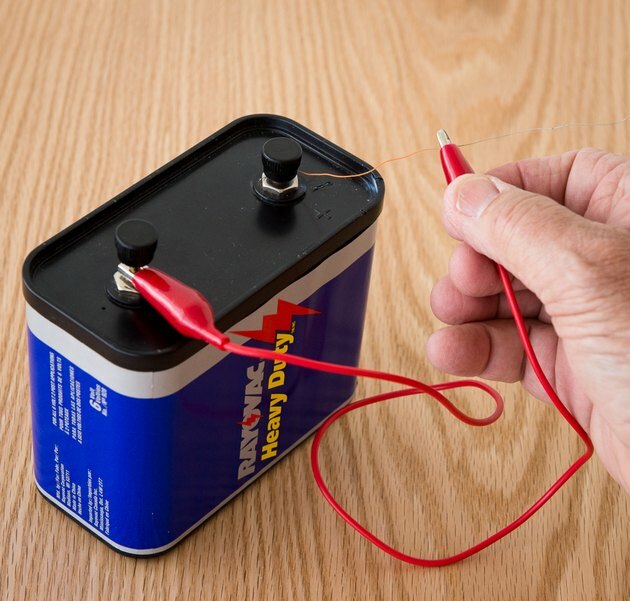 Create your own short circuit experiment with a battery and a length of conducting wire. In residential wiring, the term short circuit can be defined as any situation in which the current in the established wiring of a circuit instead is diverted into an unexpected pathway that has no resistance. It is essentially a situation in which electrical current "leaks" outside the established wiring and flows where it is not intended. The term "short circuit" is actually quite accurate, because this unintentional, accidental pathway is indeed a circuit that is "shorter" than a standard circuit—the current flow bypasses the circuit wires to establish a shorter pathway to its ultimate destination. By this definition, a ground fault can technically be seen as one type of short circuit, one in which the current in a hot wire finds a shorter path to ground. However, in the electrician's world of residential wiring, the term short circuit is usually reserved to describe the situation when a hot wire directly touches a neutral wire. A ground fault occurs in residential circuitry when a hot wire contacts the ground wire or a grounded element, such as a metal box, and electricity then flows immediately to ground. A tremendous amount of current flows during a ground fault—enough to cause electrocution and fires. The danger of electrocution occurs if a person is in contact with that ground path through which the current flows. A short circuit occurs when the hot wire contacts the neutral wire without passing through a resistive load. A huge amount of current also flows during a short circuit, and it can generate enough heat to start a fire, but it seldom causes electrocution. The reason why it doesn't is that the current stays within the electric circuit and doesn't leak out, as it does when a ground fault occurs. However, that isn't to say that a short can't cause injuries. You created a short circuit by providing a low-resistance path for electricity to flow directly between the battery terminals. The DC current generated resistive heat in the wire, and if the same thing were to happen in your 120-volt AC home circuitry, the heat would probably have been enough to melt the wire insulation. That's hazardous, but not as hazardous as the electrical arcing that would have occurred between the wires. 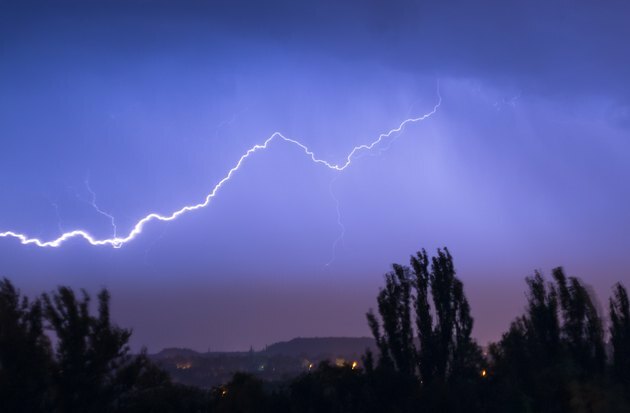 Arcing from a short circuit has much in common with cloud-to-cloud lightning. The greatest hazard associated with short circuits is electrical arcing, which occurs when the conductors aren't actually touching, but are close enough to allow electricity to jump across the air gap separating them. The resulting sparks are basically lightning, and like lightning, they can heat the air to ridiculously high temperatures comparable to those on the surface of the sun. They can vaporize metal, so anyone close to an arc flash can be seriously injured or killed. The hot wire in residential circuitry carries the electric charge from the power source, and the neutral wire carries the charge back to the source. The electricity in the hot wire constantly seeks to return to the source or to ground, following the route established by the hot and neutral circuit wires and any lamps, light fixtures, or appliances plugged into that circuit. So long as this current is confined in wires protected by insulation, no problems exist. The electricity is effectively tamed by wiring that offers resistance to the uncontrolled flow of electricity. Every electrical device requires the electricity to do work, and that work involves electrical resistance, which limits the current flow. But if the hot wire touches the the neutral wire without passing through a load, the resistance suddenly becomes very low, and that makes the current flow very high. Technical note: Since the voltage (V) in a residential circuit is a constant 120 volts, current (I) and resistance (R) have an inverse relationship according to Ohm's Law, V = IR. The insulation separating the hot and neutral wires may be worn thin from age, allowing the wires to make contact. A poorly connected hot or neutral wire may come loose from a light fixture or outlet and touch the other one. On a wet plug, electricity may travel from one prong to another through the water. An electrical wire may suffer damage that exposes the wires and allows the hot one to touch the neutral one. The internal wiring of an appliance may be faulty, allowing the internal hot wire and neutral wire to touch. If you plug in a lamp or other appliance and experience sparks or a tripped circuit breaker, there may a short in the device itself. 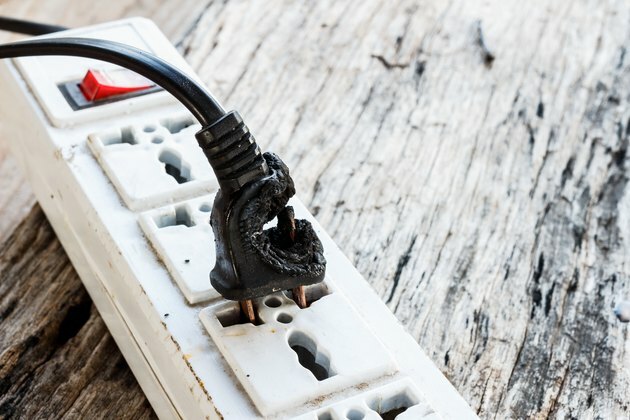 Arcing from a short circuit can melt plugs and outlets. There are usually sparks when a short occurs, because the wires aren't in permanent contact. The sparks generate enough heat to melt plastic devices, such as outlets, switches and plugs, and to ignite flammable materials in the vicinity. Every house has a circuit breaker panel, and the breakers are designed to detect anomalously high current flow and shut off the power when they do. If a circuit has a short, the breaker will trip, and you won't be able to reset it until you find the short and fix it. A GFCI (ground fault current interrupter) outlet or circuit breaker is primarily designed to detect current anomalies associated with ground faults, but it, like all breakers, will also shut off when a short circuit occurs. AFCI circuit breakers and outlets detect the arcing cause by short circuits and kill power. Neither of these devices is as sensitive to a short circuit as an AFCI (arc fault current interrupter) outlet or circuit breaker. 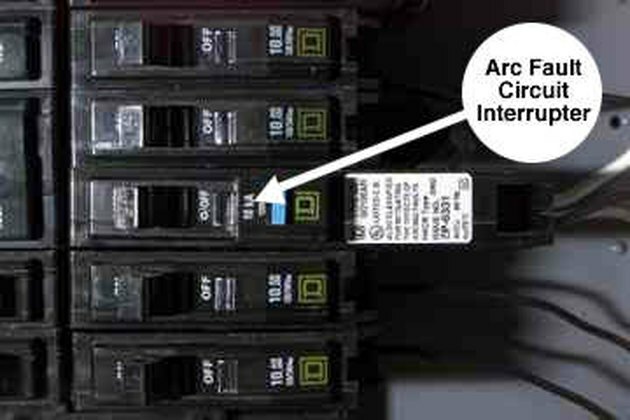 Arcing from a short circuit is usually intermittent, and a GFCI or a conventional circuit breaker might miss it. An AFCI, however, is deigned to detect the specific signal anomaly caused by arcing, and it will shut off as soon as it does. For this reason, the electrical code increasingly requires AFCI outlets in strategic locations in homes and commercial establishments. Many manufacturers now offer GFCI/AFCI combination outlets and circuit breakers. If you can control the heat generated during an arc flash, you can put it to a variety of uses. That's the principle behind arc and resistance welding. In a basic arc welding circuit, the metal to be welded—the work—is connected by a wire to a power source to which the welding rod is also connected. When the welder moves the rod close enough to the work, a short circuit occurs that causes electricity to arc between the rod and the work. This generates temperatures in the range of 6,500 degrees Fahrenheit, which are hot enough to melt the metal so it can fuse to another piece of metal that is also in range of the arc. 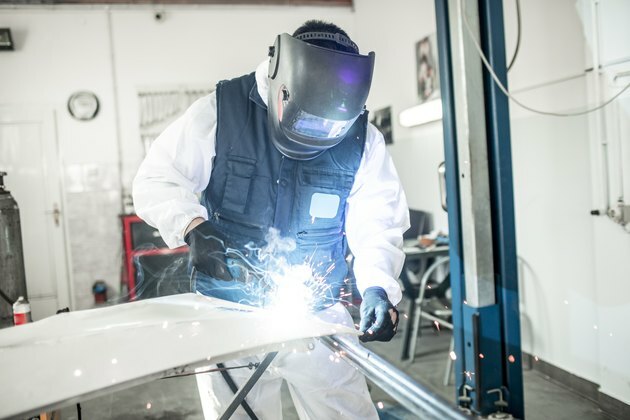 Welders use the heat from electrical arcing to fuse metal. Electric arcing was used in the earliest light bulbs until it was replaced by glowing filaments. It's still used in some modern incandescent bulbs when a particularly bright light source, or one that closely approximates the light from the sun, is required. The color of the arc depends on the electrode materials, so researchers can analyze the spectrum of an arc created by a pair of electrodes to identify the materials in the electrodes. These and other applications show that electrical arcing cause by short circuits may be hazardous, but it isn't always bad. What Are the Causes of a Shorted Out Electrical Outlet? What Is an Open Neutral? What Is Wrong With My Dryer if I Get Shocked When I Touch It? What Causes Wiring to Get Hot to the Touch?